Sign-ups are open for 36 hours only, starting at 9:00am NZDT. Get on it to secure your spot for a truly epic event. Entries for the 2018 Santa Cruz NZ Enduro open Nov 17th 9:00 am NZDT (GMT +13hours) and are open until Monday 20th November. After three successful sold out years the fourth annual Santa Cruz NZ Enduro opens for registration this Friday. 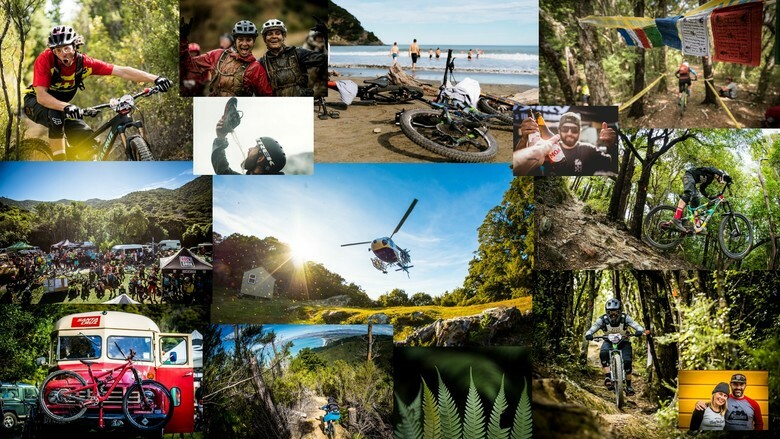 This three day multi stage enduro race will take place from March 9-11, 2018 in beautiful Marlborough on the top of New Zealand’s South Island. It is home to some of New Zealand’s most scenic and sacred trails. Last year saw racers from seventeen countries take the start with Damien Oton and Ines Thoma taking the overall win. Entries will be open for 36 hours. 140 Successful applicants will be drawn and notified by direct email. You will be able to submit group entries if you are traveling with a partner or group of friends. Basic Facts: Three wild days of racing and riding with your mates around the Marlborough Sounds, NZ. Close to the Picton Ferry terminal and South Island towns of Nelson and Blenheim. Natural trails, native NZ beech forest, scenic liasons, challenging, fast, flowy, technical and steep at times. Laid back vibe and atmosphere. No start order or set liaison times. Professional timing, ride with your friends, have a swim if you want. Race entry costs are $375 NZD and that includes shuttles, helicopter uplift, food, beer, BBQ and good times, not to mention the infamous NZ Enduro swag bag on sign up. We are thinking globally and acting locally, partnering with local providers whenever possible, food and refreshments sourced locally and giving back directly to MTB trail advocacy programs targeting the trails we are using through the Marlborough MTB club and trailfund.org.nz with a raffle. I think that’s around $250 usd. That is insane for what you get!